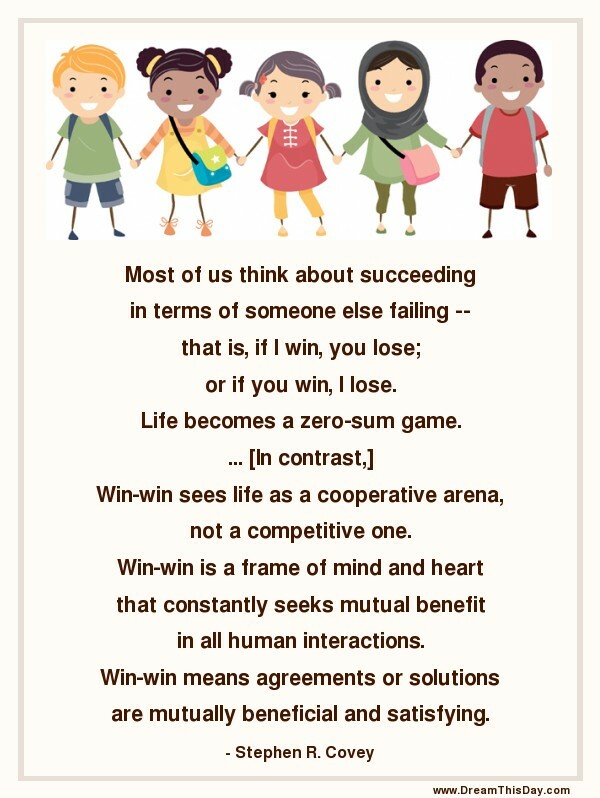 ... [In contrast,] Win-win sees life as a cooperative arena, not a competitive one. "Play nicely together. Don't fight."